Any person 18 years of age or older who is a legally registered owner of any BMW motorcycle, or married to the owner, and who attends two previously announced General Member Meetings in any six-month period shall be eligible for membership. The prospective member shall make application for such membership during attendance at such meeting by stating his or her desire to become a member. Membership is not required to participate in our events. You may also become a member by attending the 49er Rally. Contact us for more information. Details are also stated in our club by-laws. 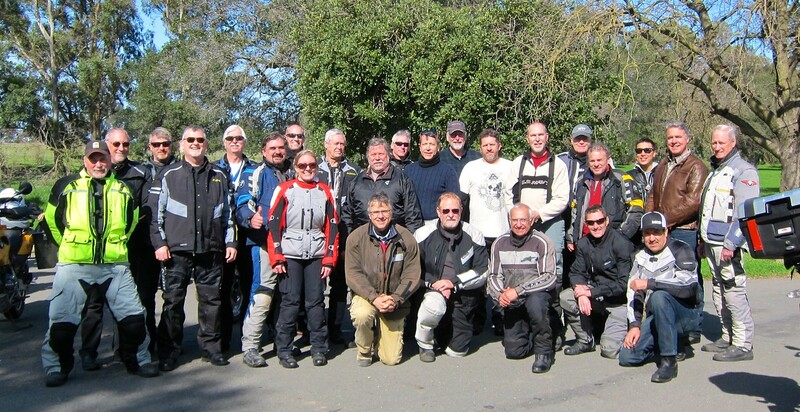 Click here for more information on how to become a member of BMW NorCal. Membership renewal is due prior to the June (Annual) Election Meeting and membership must be renewed for a member to be eligible to vote. Any membership not renewed by the June Meeting shall be delinquent. Members forfeiting their membership for non-payment of dues can be reinstated, providing their dues are paid prior to the September General Member Meeting, but, until that time, they forfeit all their member rights. If the delinquent member fails to re-instate their membership prior to the September meeting then their membership is terminated and they must re-apply for membership.